Deliveries are a must for any food chain in this day and age. I often speak to restaurant chain owners whose business focus has completely shifted. For some of them, delivery orders account for a third of their business – bringing them growth at an unexpected rate. When restaurant chain logistics teams ask for my tips on devising a delivery strategy, there are two points that I always stress. Firstly, I advise them to make the most of crowdsourced fleets and third-party delivery partners. This will help them ensure they have flexibility beyond a team of in-house drivers, which for many restaurant chains is the first step. Secondly, I stress that good food is where it begins and ends. That’s why your customers need you, want you, and love you. Sounds obvious, right? In practice, the many components of the delivery jigsaw can easily distract teams from their product, resulting compromises on quality. I strongly advise companies to put food at the heart of any delivery plan, conversation, or strategy. 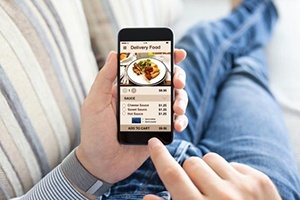 Consider these five crucial elements when planning the delivery strategy for your restaurant chain. News and announcements from Bringg. Get the latest updates on the company and insights on the future of the industry.